New Zealanders on Friday marked one week since a mass shooting killed 50 Muslim worshippers in the South Island city of Christchurch, holding nationwide prayers and wearing headscarves to show their support for the devastated community. "We are alive, we are together, we are determined to not let anyone divide us", Imam Fouda told the gathered crowd, many wearing headscarves in support. "It's just wonderful to see how the country and the community have come together - blows my mind, actually", Imam said before the event. Attempts to access the form Saturday through both New Zealand and US internet connections returned a message that said "the ability to submit forms from overseas is not enabled". 'We were contacted by a representative who said some of our Muslim brothers and sisters have fears for Friday during their prayer, and the question was posed whether we could be apart of the safety net for them to allow them to pray in peace without fear'. 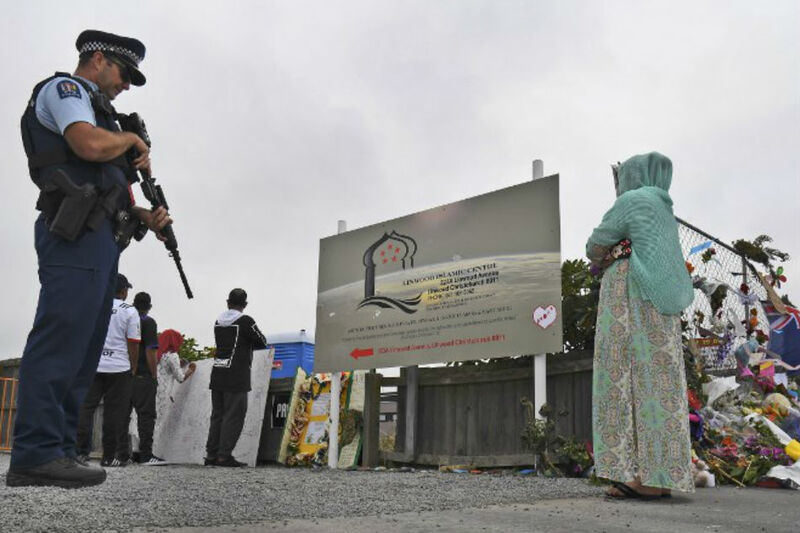 Worshipers were gunned down inside the Al Noor mosque in Christchurch and then at a nearby mosque in the suburb of Linwood on March 15. In Jacksonville people are reacting saying what happened in New Zealand hits closer to home than it might seem. Dubai's ruler, Sheikh Mohammed bin Rashid Al Maktoum, thanked Ardern on Twitter late on Friday. "Islamophobia is real. It is a targeted campaign to influence people to dehumanise and irrationally fear Muslims". Ardern, surrounded by ministers and security officials at Hagley Park, wore a black headscarf and a black suit. An emotional image of New Zealand Prime Minister Jacinda Ardern hugging a woman after the Christchurch terror attacks has been projected onto the world's tallest building. "The service will be a chance to once again show that New Zealanders are compassionate, inclusive and diverse, and that we will protect those values". "It was packed", she said. Jacinda Ardern has continued to express support for the Muslim community, following the terrorist incident. Later on Friday, a mass burial will be held after police confirmed on Thursday all of the dead had been formally identified and their bodies ready for release to the families. PM Modi strongly condemned the attack in a letter addressed to the New Zealand Prime Minister and said that hatred and violence have no place in democratic societies.